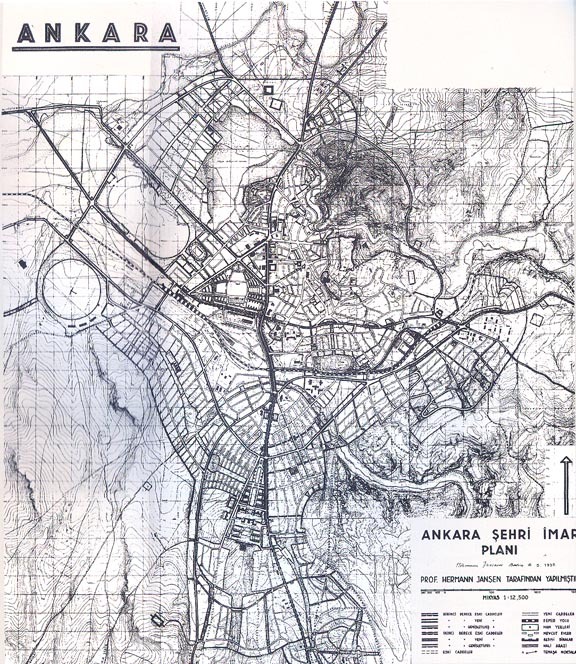 Ankara’s new city of 1928 had to be planned around its existing settlement, located at the top of a hill in the middle of a valley surrounded by mountains. Much of the old city sat inside the walls of an even older fort. 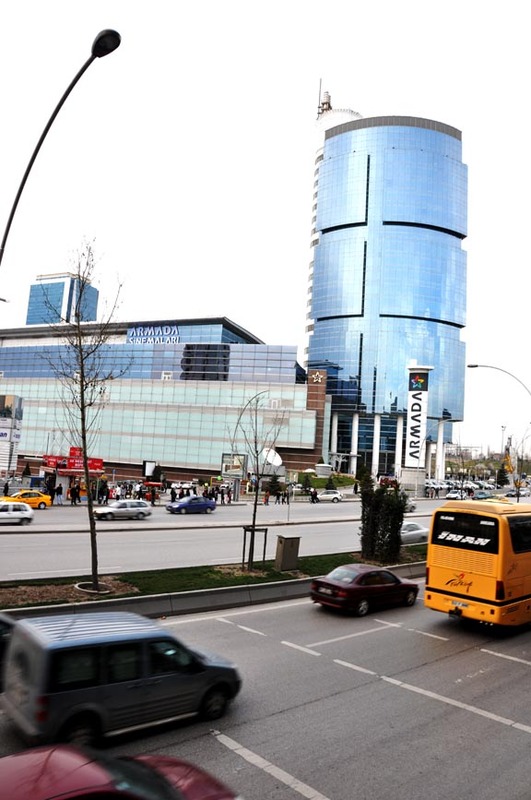 The basic concept of the Ankara plan was to create a new boulevard that started at the edge of this old city and ran south, to a new administrative center in the plain. 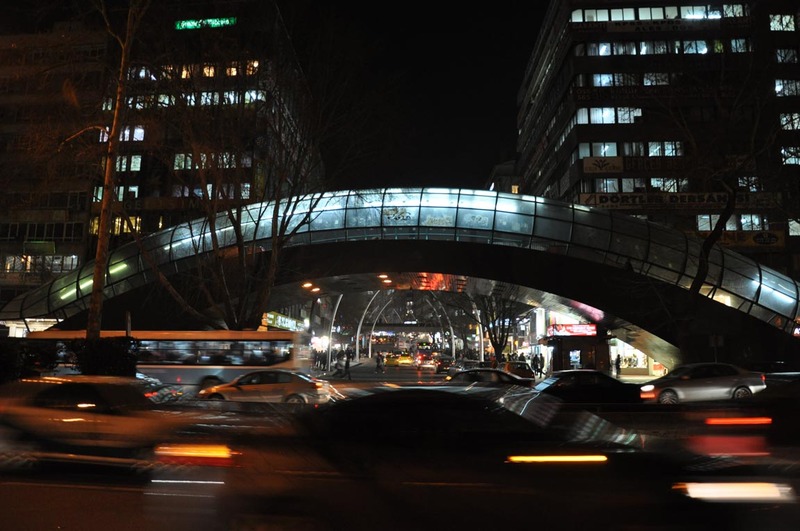 The new center brought new ideas, new methods of construction, new ways of living. 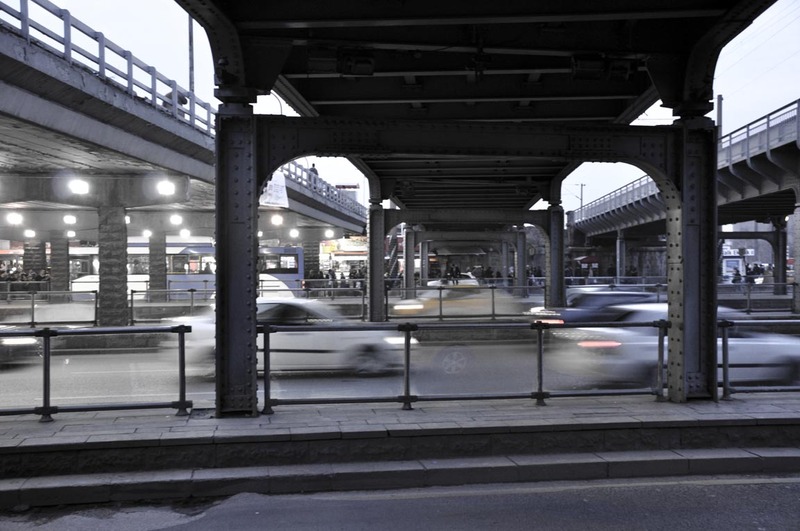 Concrete frame systems, now ubiquitous, established a modern means of construction and a new, bigger scale of building. 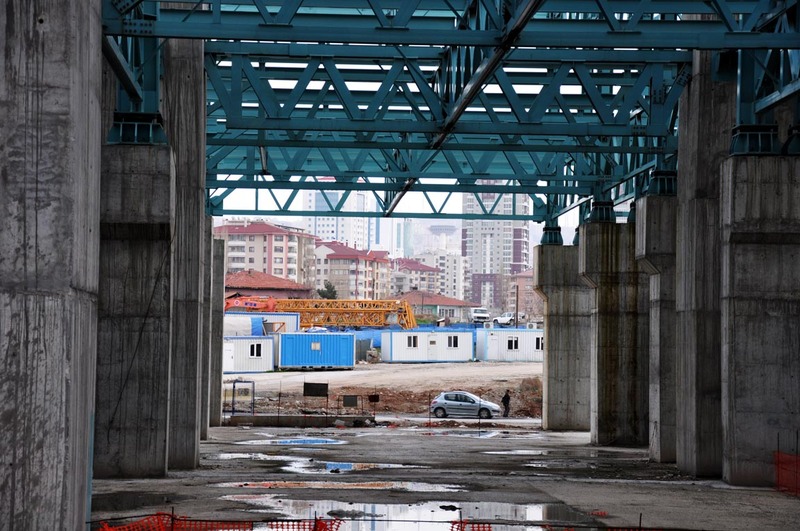 Despite these efforts in recreating the urban landscape of Ankara by isolating the old, the original arrangements of Ankara have crept out into the plains, albeit in small, but critical ways. Inside the fort wall, buildings remain the same, and renovations are only historic. Outside, as the hill slopes down, the old and the new begin to mix. 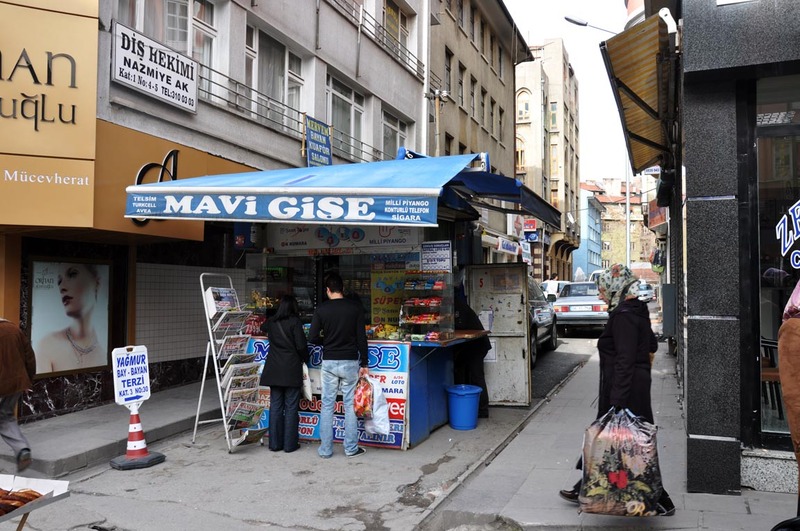 This photo is taken near the edge of Ulus, the old district, where a pedestrian market opens into the ring road around the core city. But the edge can also be extreme. Here, along Ataturk Bulvari, the main axis of Ankara, pre-1940s building is decisively cut by a large boulevard and an open park that follow the southwest edge of the hill and buffer it from the main railway. 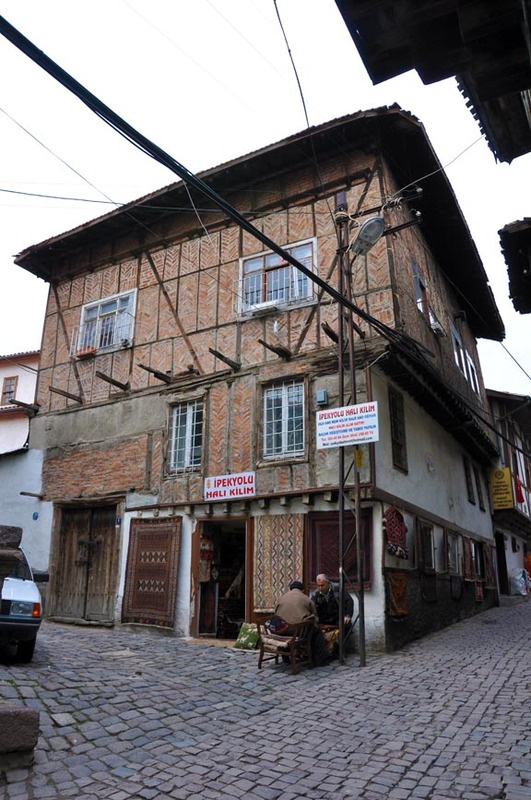 The old houses were built of wood…their basic structure was a stone foundation, with wood frame sections above, cantilevered slightly at each increasing level. The walls were filled with brick. On top of this, a beam or truss system, depending on the span, supported a ceramic tile roof. 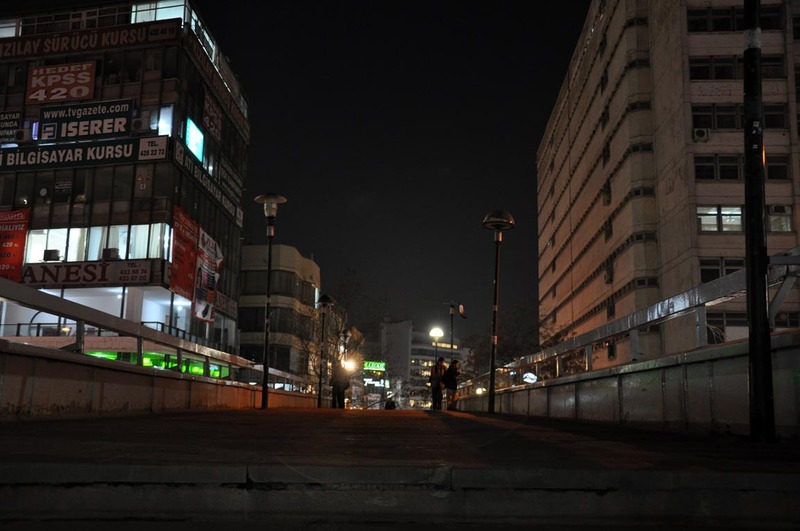 In new concrete areas, buildings were designed with flat roofs. 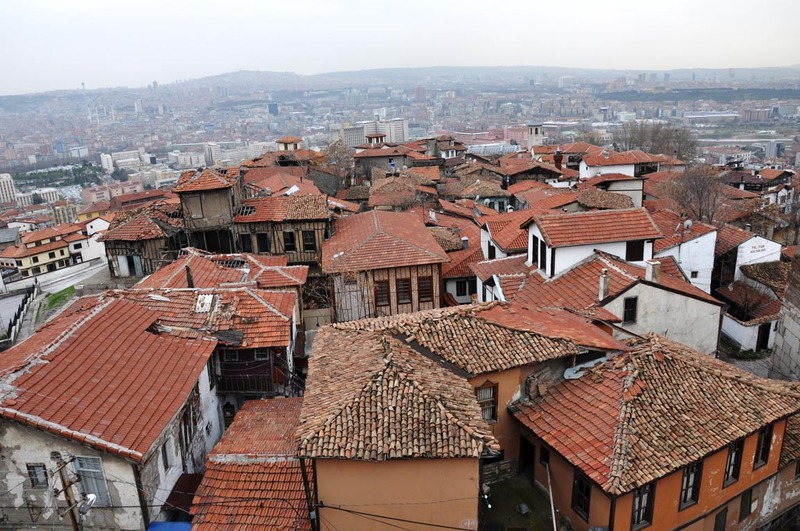 However, because of rain and snow, many of these roofs were replaced with traditional roofs, which leaked less. Now, the traditional roofs are integrated into the construction process from the start. Map used with permission of Istanbul Büyükşehir Belediye Başkanliği, Atatürk Library, Istanbul. Ankara, the reason behind my trip to Turkey, was planned in the 1920s as a new capital for the young Turkish Republic, led by Atatürk. Looking for a fresh start and a marked difference from the previous empires that had reigned in the region, Ataturk moved the capital away from Istanbul to then-obscure Ankara in central Anatolia. 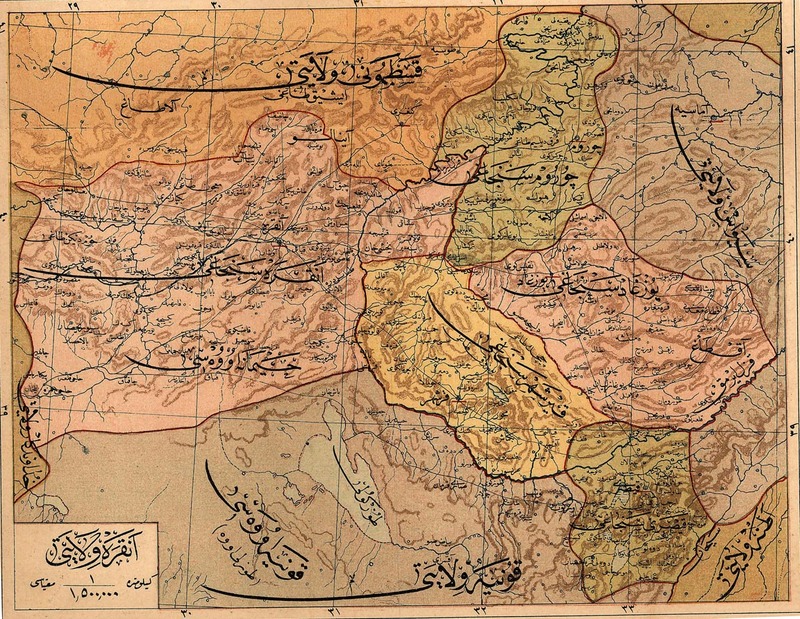 Map source: AD article “The Making of An Early Republican Ankara,” Turkey At the Threshold, AD (Jan/Feb 2010). 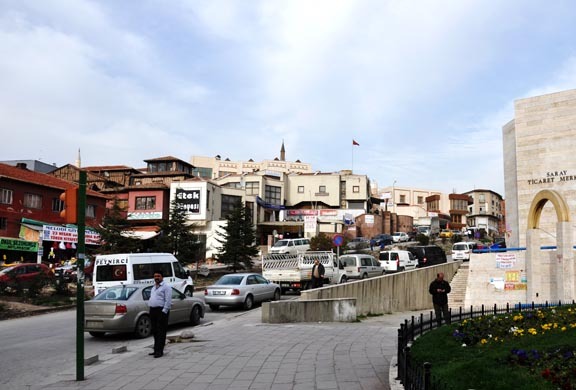 Unlike Chandigarh, Ankara existed before it was planned as a capital, so planners had to deal with a historic core as they developed the city. Another major factor in the planning was the topography. 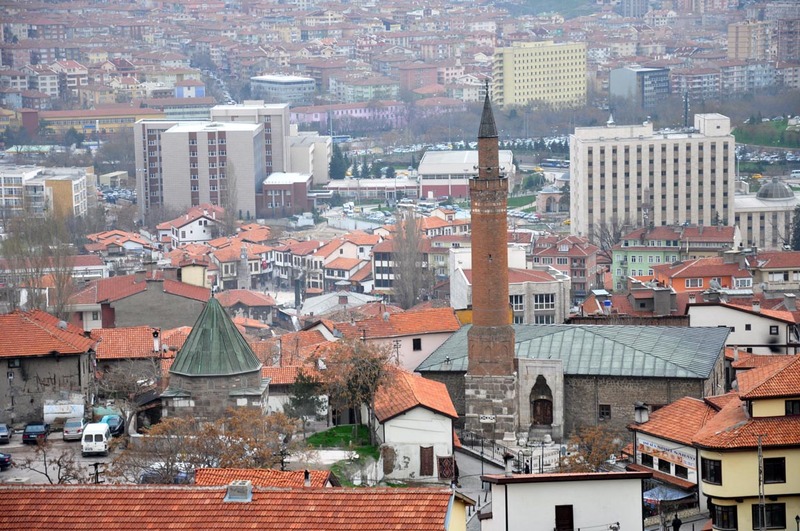 Ankara sits alongside a mountain; its old history surrounds a mountaintop fort. 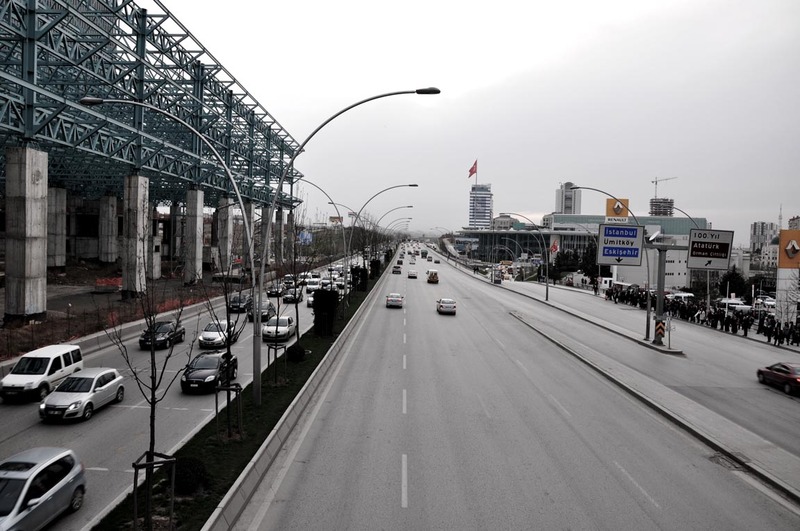 Ankara’s master plans and early republican architecture were heavily influenced by Germany, as it was vying to reposition itself after World War 1. 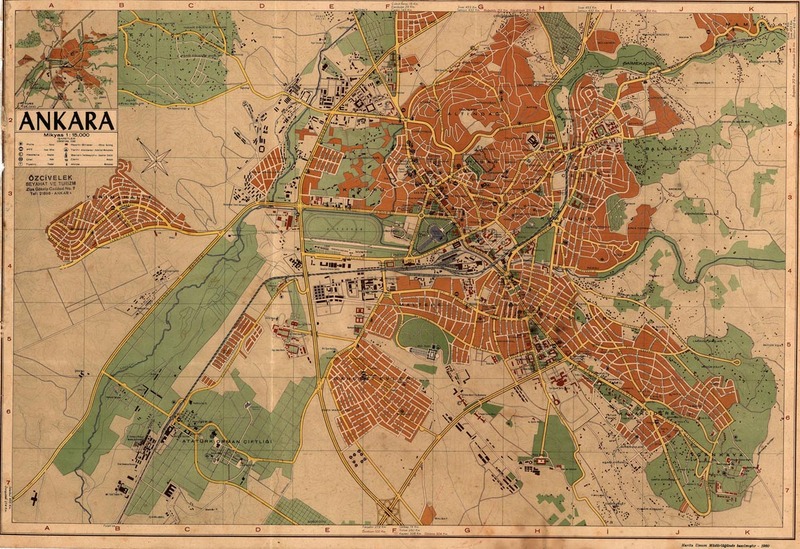 Hermann Jansen’s plan, adopted in 1928 and based on the earlier plan by German planner Carl Lörcher, severs the old from the new by cutting a main boulevard (Atatürk) between the old (Ulus) and the new center (Kizilay). 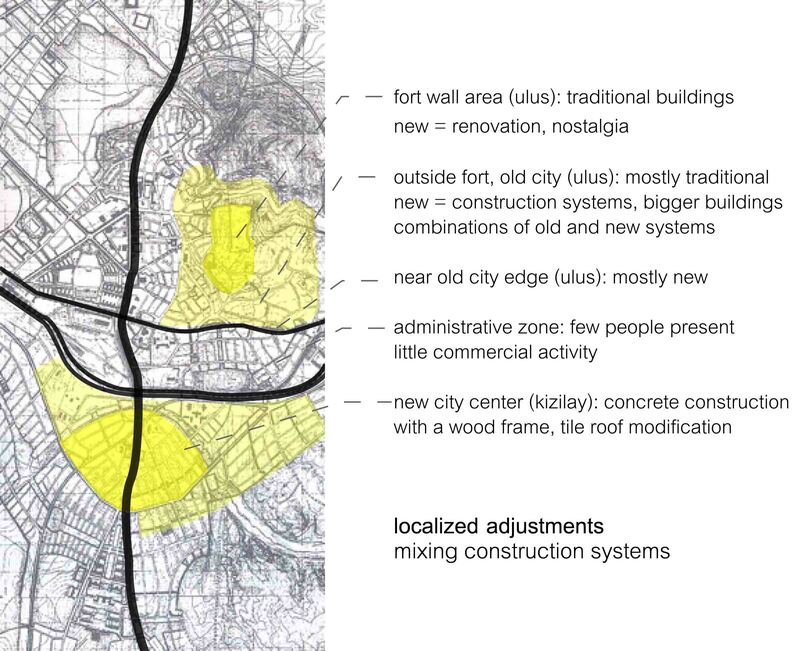 The plan for the new administration was then structured around the new center, Kizilay. 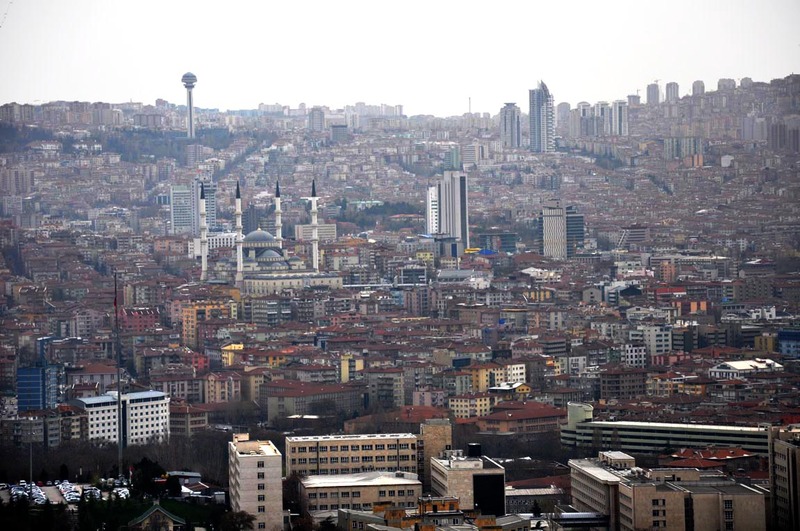 Since the plan, Ankara has grown from just tens of thousands to its current population of 4.5 million. 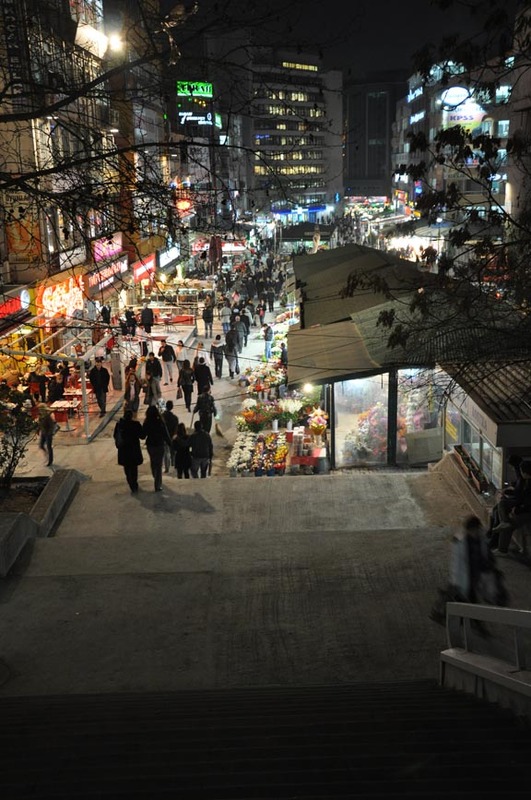 Because I will only be in Ankara for a short time, I will be looking at strategic locations in the plan: (1) the edge between the historic core, Ulus, and the planned areas, (2) the main street, Atatürk Boulevard, cutting through the city, (3) the commercial and administrative center Kizilay, and (4) the edges of the plan, where development begins to move to accommodate population increases. As always, if anyone has any tips or leads I’d love to hear them.